Happy fall y'all from my front porch to yours! I can not think of a better way to celebrate the start of this beautiful season than to be joining these 5 wonderful ladies in sharing our fall porches today. I hope that you enjoy the tours! My porch is not very large. It is more of a stoop but I always seem to make the most of it. I did not have it in me to put away the "Welcome" sign I made back in the Spring. I figured it made for a nice unexpected pop of color. 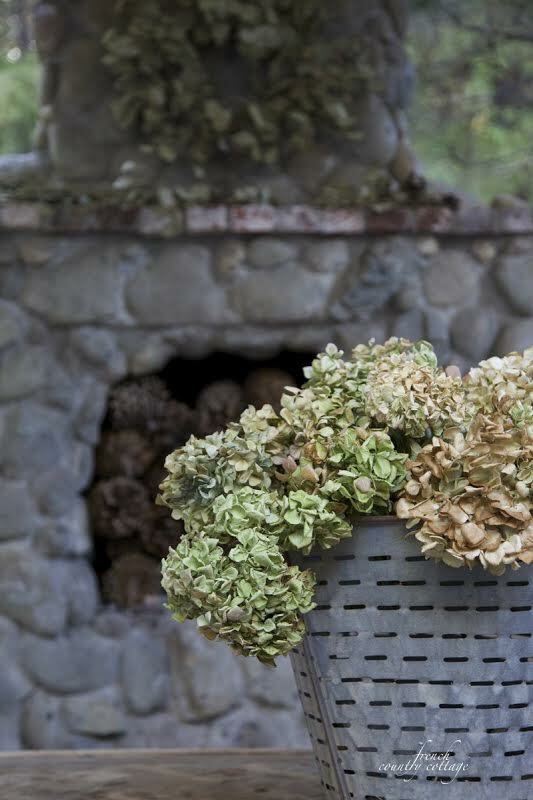 This year I was going to change out our fall wreath. I even bought a few new options but I was just not feeling them. Instead I brought back out ol' faithful that I made a few years back and just updated it with a burlap bow and some sunflowers. I adore this sign made by Paula from Castles & Cottages over on Etsy. She had a giveaway on her blog some years ago and I was thrilled to find out that I had won it. Be sure to stop by and visit Kim, Shirley, Mary Alice, Courtney, and Yvonne for a tour of their fall porches. 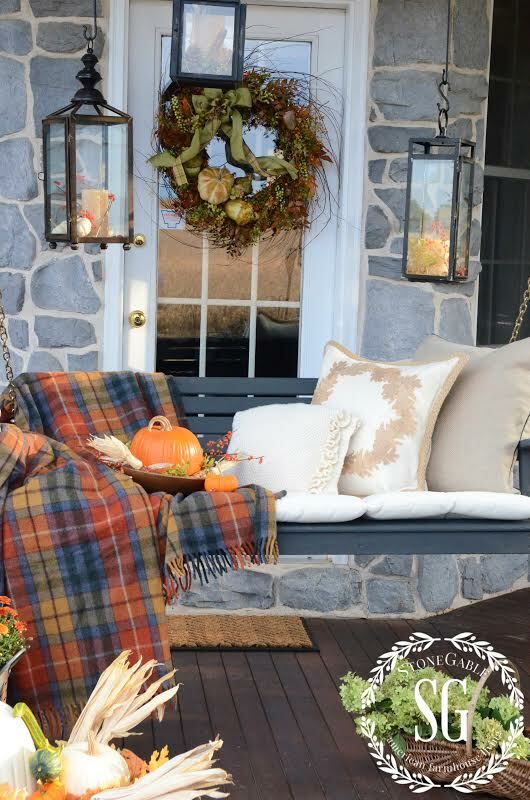 Now that you have seen our fall porches we want to see yours! No worries, if you have not had a chance to bring fall to your porch yet, you can wait and link up once you have it ready. The party will remain open thru October, or you are more than welcome to link up your fall porch from the past. Best thing is once you link up at one blog your link is shared on ALL 6 blogs so get to linking up! All that we ask is that you include a link back to the hostess whose blog you linked up at. Please Note this party is for fall porches only so do not link up other DIY projects or fall related posts. You can save those and come back on Wednesday evening at 7 pm central and share those posts for Treasure Hunt Thursday! :) We would love to have you party with us then. If you find that your link was deleted it is because it was not a fall porch/stoop. 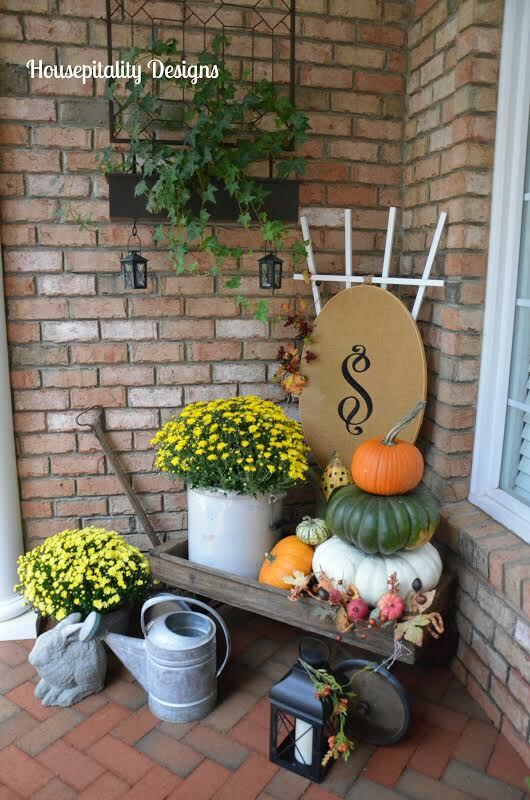 LOVE your porch all decked out for the Fall!! I will be back to check out all the other entries later.... Thanks so much for this great party!! Fall is my favorite Season!!! Looking good, Pamela and I love the sign. Thanks so much for hosting this event and the time you put in it! Love your porch Pamela ! I made a welcome sign this year too :) Your wreath is beautiful , love that sign ! Looks good, Pamela. I enjoy seeing you use the things you already have, and your Welcome sign still works really well. Happy Fall, and thanks for co-hosting the porch party. Love your porch Pamela...and that "pumpkin" sign is fantastic...the porch definitely says that Fall has arrived...Great partying with you! !..Thanks for all of your hard work in making this happen!!! Now this is a real fall porch! Love all the pumpkins and fall colors. 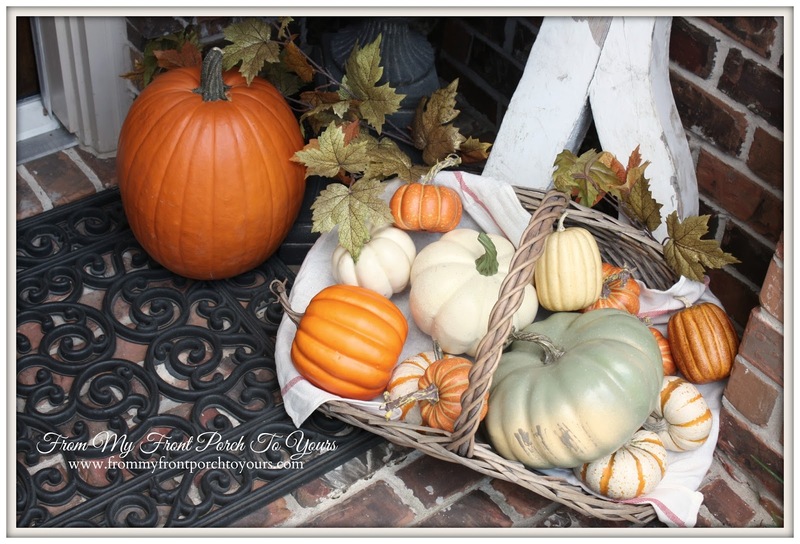 So pretty Pamela...I love the basket full of pumpkins! Thanks so much for hosting this fun party! Your porch is so charming, Pamela!! Love the signs and the architectural element you used. You definitely have a warm welcome to friends coming by! Pamela, Your porch is filled with wonderful fall bounty!!! I'm so glad you used your "old faithful" wreath... it is really gorgeous!!!!! I think that pumpkins sign is perfect! I would love one for my front porch too! Thank you so much for spending your time and energy to put together this great fall porch party and for inviting me to join in! I love all you ladies! Your fall porch looks great! I love the welcome sign and the pumpkin sign. Your fall porch is beautiful. So pretty and inviting. Love that sign you won from Paula. I have a few of Paula's signs and they are so great. Have a great week. stoop, or porch....looks ready and pretty for the season. Pamela, you always have the best porch designs! 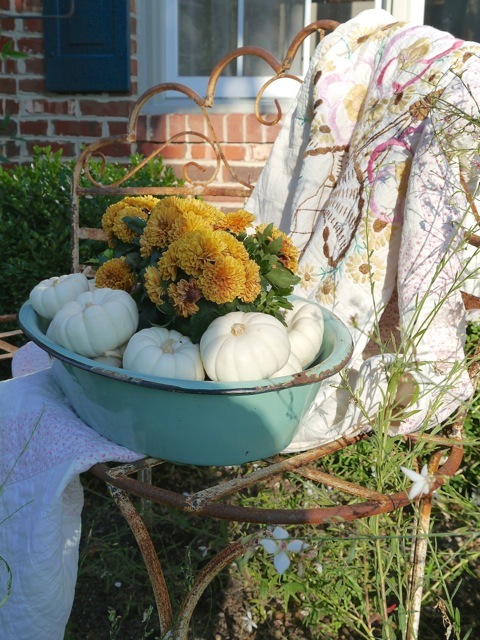 Your Fall front porch is lovely! 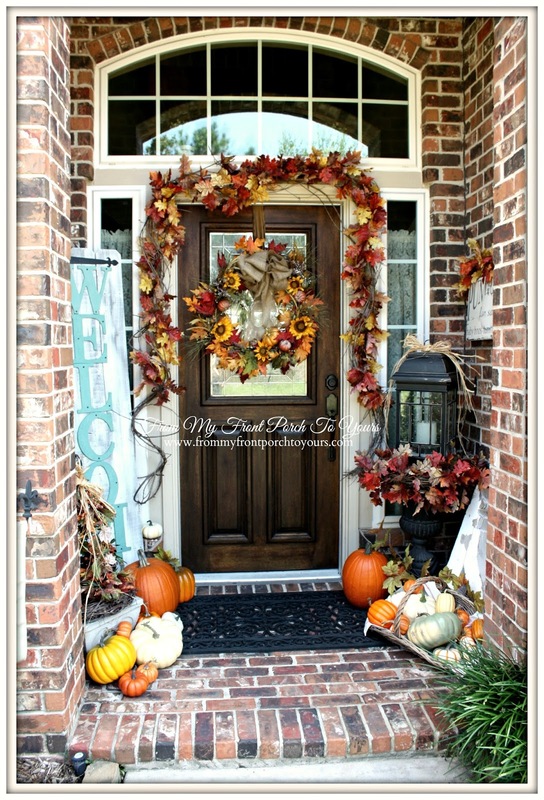 I love the pops of Fall color around your door! You have given me the best idea by adding a lantern to an urn! Thanks for hosting and sharing your porch with us! I can't wait to see all the links! 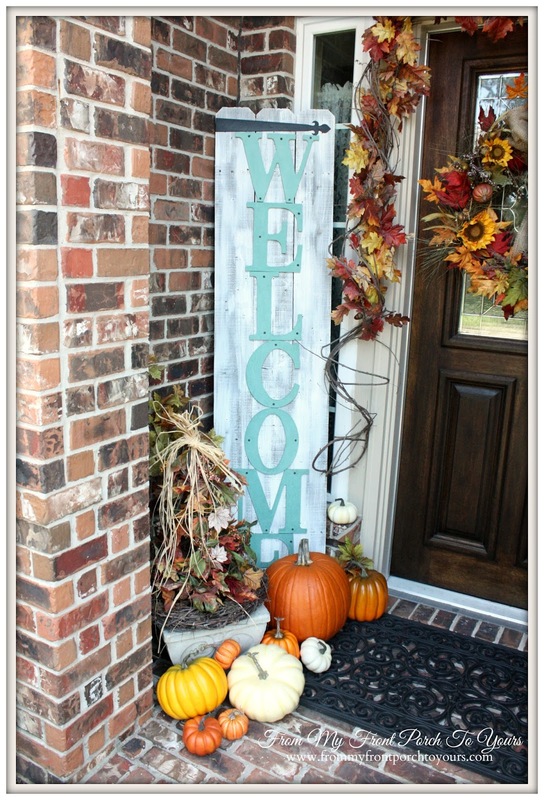 It looks fabulous Pamela, and I LOVE the blue in the welcome sign with the fall colors!! Hi Pamela, pleased to meet you. 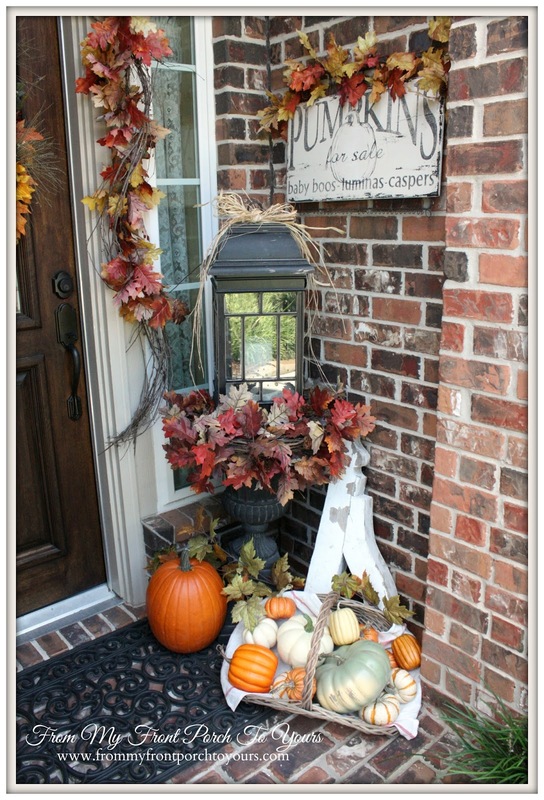 I just love your blog -your fall decor is so charming and I love your signs and architectural details! Your fall porch is so cozy, Pamela. I'd never put that welcome sign away. It's perfect for every season. I love, love, love your and wreath and fall swag. Everything is gorgeous. Pam, I just love that huge WELCOME sign. I think I'll make one-eventually! And the other pumpkin sign is adorable. Last year we had a lot of pumpkins growing in our garden so I could have used it to sell some by the road, but this year we only have 3 growing right now. I did have a few growing over the summer but I don't know how much longer they're gonna last! Your porch looks beautiful Pamela! Love...love....love your welcome sign! I still need to decorate our porch,but we have squirrels so I am still trying to figure it out LOL! Gorgeous fall decor! Thanks for the inspiration! I love your porch! I find it very inspiring because we're thinking of moving to a townhouse that, while spacious inside, would only have a small stoop type porch as well. 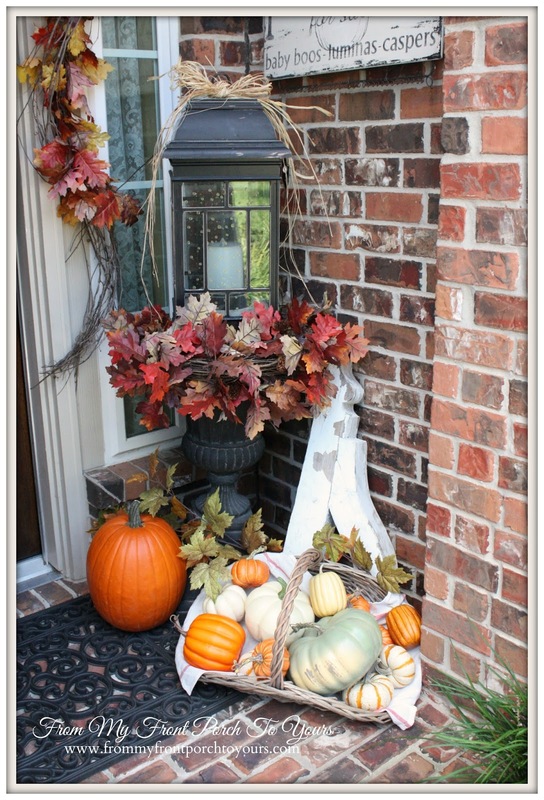 It's encouraging for me to see you can still decorate your front entry so wonderfully! Your porch/stoop looks great. Love the vine around the door! I'll stop by later tonight and check out the other porches and do some pinning! Ouch! I linked up to the wrong party. I'm Sorry. The Front porch party looks great though. Please take down my entry. You front porch looks amazing. I love all those lovely pumpkins and sign. Beautiful! Love all the great inspiration! Thanks for hosting! Pamela, Thanks so much for hosting!! 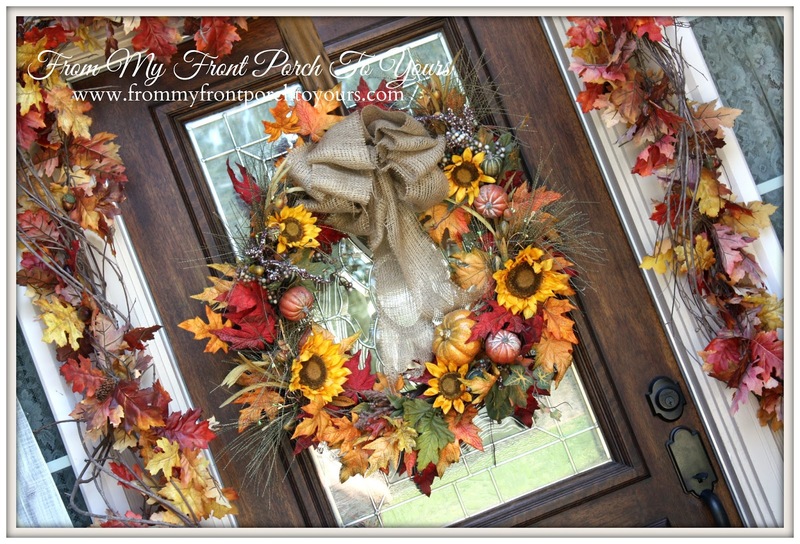 I linked up my current Fall Porch post. I noticed that there are 2 links of my porch from 2014. They are Number 6 and Number 7. My Old Blog was hacked so I deleted it and started a new blog so those links will take you to a blog that no longer exists so please feel free to delete those links. 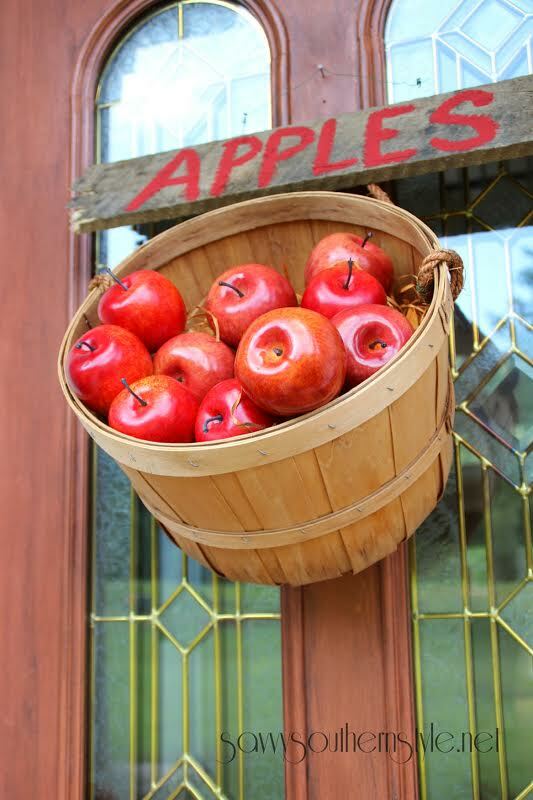 Your porch looks so pretty all decorated for fall! 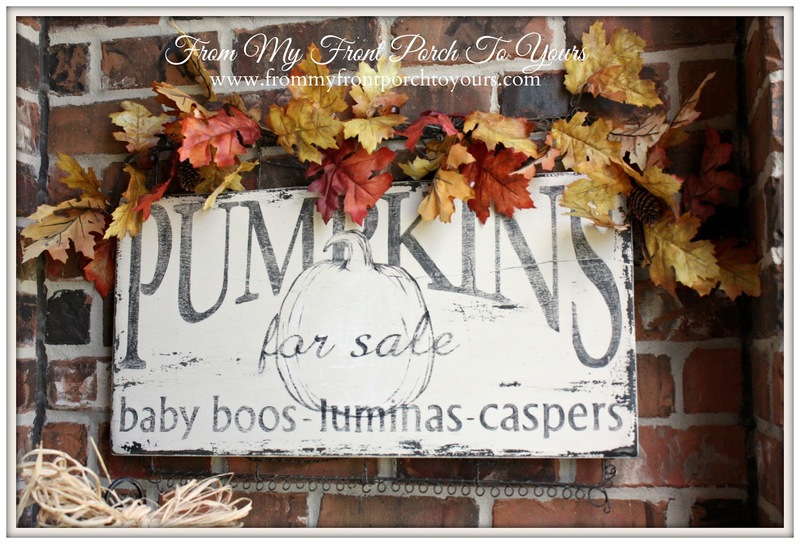 Love the pumpkins for sale sign, super cute!!!! 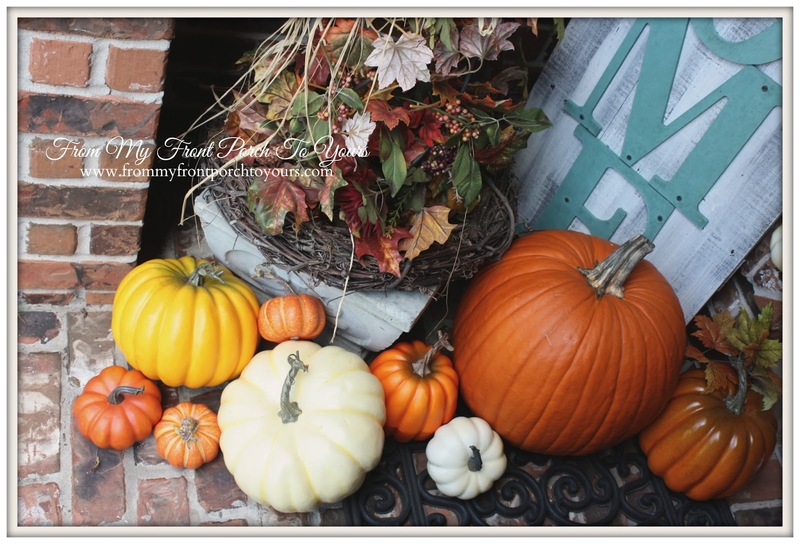 I so loved this party!....Linking up my 2016 Fall porch! I loved this party and great to party with you again Pamela!!! Happy Fall! Cannot wait to see your new home!